If there were one piece of the skincare puzzle missing in my life, it was a serum. It was a case of being too lazy/not wanting to part with my cold hard cash but my skin was screaming at me to give it a break. Not a one to blessed with baby's bum skin, I've been searching high & low for a serum that just gives my face...a little somethin' somethin', but nothing has ever quite made the cut. Until now *insert angels signing from the heavens*. 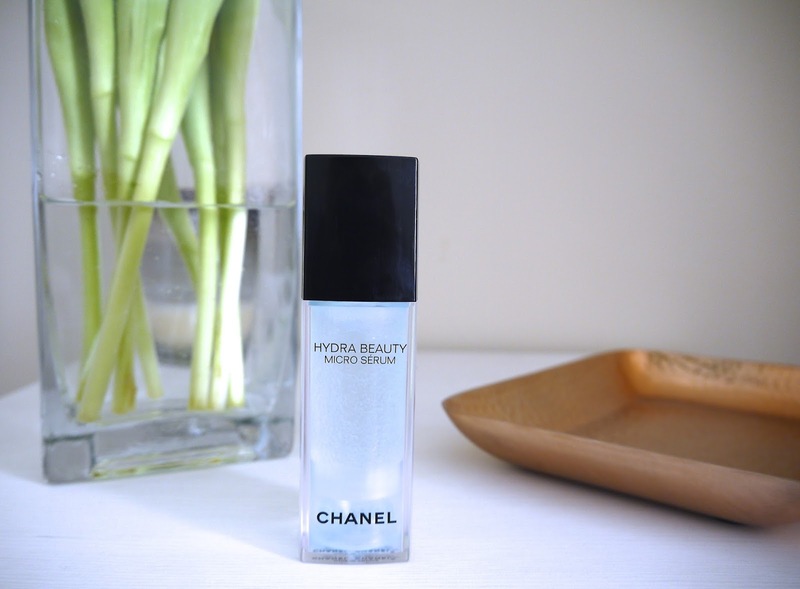 Chanel Hydra Beaty Micro Serum (and breathe) is simply gorgeous. I had been given a sample whilst stocking up on foundation and noticed a difference in my skin from one use and even a bigger difference when I had stopped using it, to the point I had to rush out and buy it. It's a beautifully light, refreshing serum that almost feels gel like, which sinks into the skin and plumps it full of hydration. It gave me the "oooooh touch my face" effect. I know it's packed with Camellia, which is a dream for the skin in itself but what struck me was how beautiful my make up goes on after using this. Foundation glides on and seems to stay on throughout the day with very little touch-ups required. As it sinks straight into the skin, there's no sticky residue either, win. Over the past few weeks of using this, my skin's texture is so much smoother, brighter looking and more even too, which is the proof of the pudding that this stuff really is awesome.